Editor's note: This article was updated on Feb. 22 to include the footage above of crews installing power lines by helicopter. 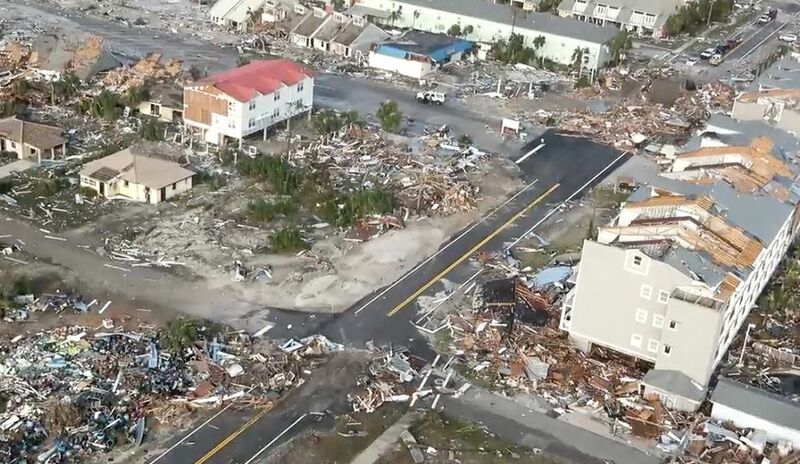 Because the area is rural and swampy, it was more efficient for lineworkers who were secured to the helicopter by rope to replace all 34 miles of this transmission line toppled by Hurricane Michael. The line is expected to be re-energized by March 1. 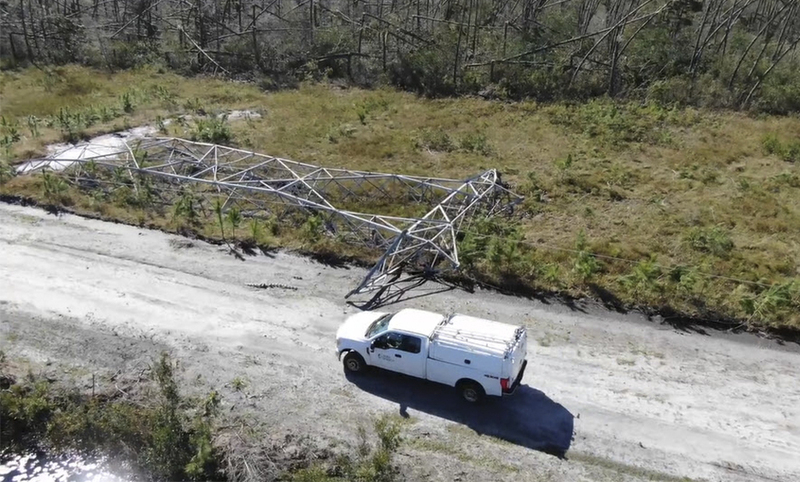 As Duke Energy helicopter crews inspected the Florida Panhandle after Hurricane Michael in October, they were astounded to see more than 100 transmission towers on the ground, toppled like dominoes. 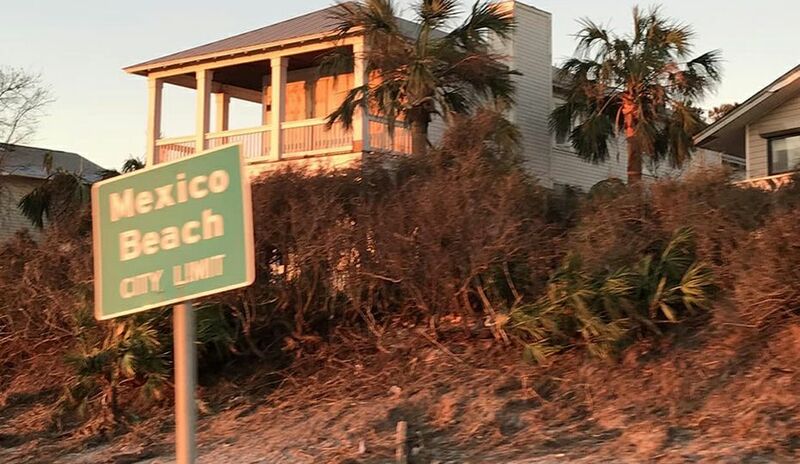 Hurricane Michael leveled more than 100 of these lattice-style transmission towers in a 34-mile right-of-way. The towers are being replaced with stronger steel poles set by helicopter. The towers were spread over 34 miles of hard-to-reach swamp and farmland from Port St. Joe to Callaway, so Duke Energy is using a fleet of helicopters to install the replacements. The helicopters will allow the company to install 320 new steel poles faster and reach areas inaccessible by truck. Black Hawk helicopters fly the new poles, which can weigh from 8,000 to 25,000 pounds, from a supply yard to their permanent location. The poles come in two to five parts – the base, about 3 feet in diameter -- is flown in and installed with the help of a crew on the ground, and the other parts are set on top of the base with a helicopter. Transmission towers carry large amounts of power from power plants to the grid – they are some of the grid’s largest and sturdiest pieces of equipment, and it’s unusual for so many to be knocked down by a storm. 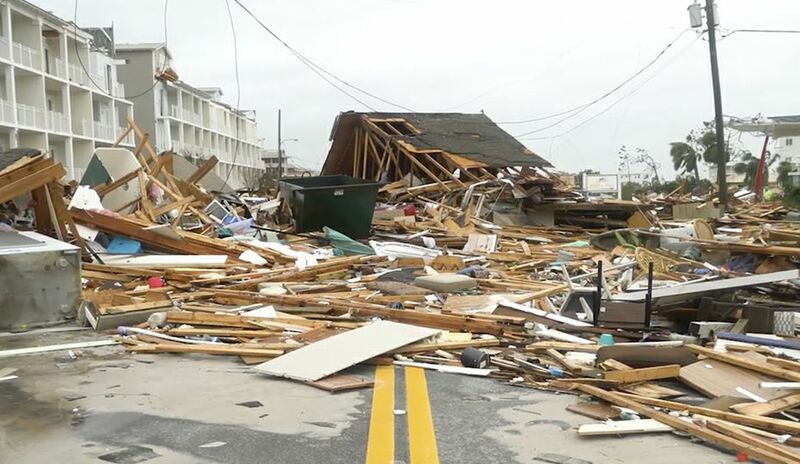 Despite their size, Hurricane Michael, the third most intense hurricane to hit the United States, destroyed them along with several small towns and miles of trees. It caused 75,000 outages, and Duke Energy crews worked 16-hour shifts for more than three weeks to rebuild the grid and restore power to every customer who could receive it. Eddie Holman, who manages the contract crews rebuilding this transmission line, said they’re also using smaller helicopters (MD-500s) to transport people, materials and tools. In some cases, crews are secured from a 30-foot rope under the helicopter to work on the lines. Between the terrain, scope of damage and demand for supplies following the storm, rebuilding this critical transmission line has been a challenge. 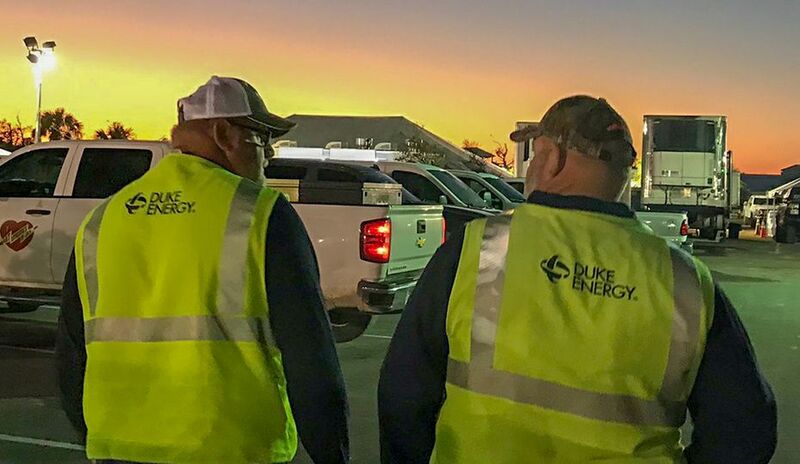 Project manager Jessica Hendrickson said it has required teamwork from Duke Energy employees across multiple departments and outside vendors, too. 514,495 feet: amount of power line that was removed and restrung. 171,598 feet: amount of fiber optic cable strung to improve communication between substations and utilities. 6 miles: length of polymer mats used to traverse swampy areas by truck without getting stuck. 25,000 pounds: maximum weight of the new steel poles, which will make the grid more resilient. 145 feet: height of the new poles. Holman said there are currently about 220 people working six days a week to install and connect the 320 poles. Since they began construction just after Thanksgiving, they’ve removed all the old towers and replaced 282 bases and 213 tops. By March 1, Hendrickson said, they hope to energize the line. After the hurricane, Duke Energy rerouted power through other lines so that service could be restored to all customers who were able to receive power, but having this transmission line back will help improve reliability for customers in north Florida. The new steel poles are stronger and will have fiber optic cables that allow for better communication between the two utilities that use the line. The cables also allow for more information on the line’s performance to be transmitted. With a few weeks left of construction, Holman said it’s good to have the end in sight and know that the grid will be smarter and more resilient in future storms.